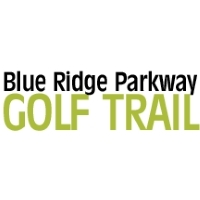 Nestled in the heart of the North Carolina's Blue Ridge Mountains, surrounded by the Great Smoky Mountains on one side and the Balsam Mountains on the other, stunning views abound while you revel in the resort's 27 holes of championship golf. In 1926, Donald Ross, the most prolific architect in golf history, used his legendary genius to shape acres of cow pasture into the Carolina Course at The Waynesville Inn Golf Resort & Spa. In the years since, 18 additional holes have been added, providing guests with 27 holes of pristine golf. This hidden gem will provide unlimited enjoyment! Ranked 4 Stars by Golf Digest best places to play. Our resort offers 111 Guest Rooms; two restaurants; meeting and conference facilities; heated outdoor pool; Spa; and Wedding Venues. Ideally located just minutes away from Asheville guests can easily enjoy skiing, fishing and boating, hiking, sightseeing, and shopping nearby. Contact Waynesville Inn Golf Resort at 828-456-3551 for more information and details on holding a golf outing at the course. We are the home Country Club of Western Carolina University's Golf Team. Allow the on-site professional wedding planners to assist in all aspects of preparation ñ sumptuous menus, libation choices, music and entertainment options. The experienced team of professionals will make sure no detail is overlooked. The Waynesville Inn offers 111 rooms on-site. The Waynesville Inn has two restaurants on-site, The Tap Room for casual dining, open daily 11:00AM - 10:00PM; and for more upscal dining at dinner, The Cork & Cleaver. The Waynesville Inn has partnered with the Spa at Biltmore Village to offer first class therapeutic massage, body treatments, and deluxe packages to our guests. The Balsam Spa is located in a stand-alone villa on the property of the Waynesville Inn Golf Resort & Spa. With easy access and ample parking, the Spa is open to the general public as well as Inn guests. Please contact us to schedule an appointment at (800) 627-6250. This profile was last updated on 06/13/2018 and has been viewed 15,652 times.